TSB Offshore utilizes proprietary decommissioning cost estimation software called PAESTM which is unique in the oil and gas industry. This software was developed by TSB and accesses a resource data base of actual decommissioning project costs and algorithms to develop the decommissioning cost estimates. The PAES system contains thousands of decommissioning cost estimates for the Gulf of Mexico, North Sea, Gulf of Thailand and other areas spanning over 20 years. The database provides unique opportunities for trend analysis and insight into decommissioning projects which are unmatched in the industry. TSB Offshore, Inc. has a staff of competent professionals who have extensive experience with oil companies, engineering and consulting firms, oil field service companies, and construction / decommissioning contractors. The experience of our team ensures our objective of providing the best available Consulting and Project Management services to energy related markets worldwide. Ken Beck has over thirty-five (35) years of experience in the financial, energy and out-sourcing business, including approximately fifteen (15) years in energy related positions. For the last five (5) years he has predominately focused on consulting, project management, and liability analysis for offshore and onshore facilities. His diverse career has allowed him to work on the financial and customer base due diligence for acquisitions in three (3) different industries. Ken’s most recent position is President of TSB Offshore, Inc. He has held executive and regional management, positions in construction, finance and out-sourcing. Ken has developed high competency levels in contract negotiation, business development, customer relations, and financial analysis. Steve Spease has over forty-six (46) years of experience in the marine and onshore oil and gas business, including approximately twenty-five (25) years outside the US in various project and regional management positions. For the last ten (10) years he has predominately focused on consulting, project management, planning and execution for offshore facility decommissioning worldwide, most recently as the President of TSB Offshore, Inc., and now as Principal / Senior Consultant at the company. Worldwide oil & gas industry knowledge and contacts; new capital projects and decommissioning. Steve holds a B.S. in Civil Engineering from the University of Arizona. Jerry Gilmore has over forty-three (43) years of construction and operations experience in the oil & gas industry. 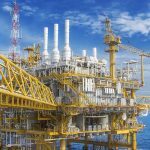 The majority of his experience has been in the fabrication, installation and abandonment of Gulf of Mexico platforms, facilities and pipelines. He has also managed domestic onshore facilities and related construction projects. He has worked closely with operations and drilling departments supporting day-to-day production operations. He has held positions of President of TSB, Vice President of Projects, Construction Department Manager, Project Manager and Project Engineer at Natural Gas Pipeline Company of America, Pennzoil Exploration and Production Company (presently Devon Energy), and was a consultant to El Paso Energy Corporation. He is currently Sr. Director of Projects – Operations for TSB Offshore, Inc. His departmental management and project management skills have been used for planning, budgeting, engineering, permitting, fabrication, installation, startup, maintenance and decommissioning activities. He has been involved in the abandonment and reefing of many Gulf of Mexico facilities. Jerry holds a B.S. in Civil Engineering from Texas A&M University at Kingsville and is a Licensed Professional Engineer in Texas. Will Speck is a skilled Project Manager with over 10 years managing projects and 16 years of oilfield experience in field operations and operations management involving all components of well P&A (slickline, e-line, pumping, flexible pipe, downhole tools). He has succeeded in multiple markets managing remote field operations to meet HSE, training, operational and financial objectives. He was instrumental in service delivery during the startup of several key contracts instigating large increases and improvements in operations, personnel, equipment, and facilities. He is experienced in managing projects and operations in multiple countries, the planning, project management and execution of decommissioning projects, decommissioning consulting, and communicating in a diverse multicultural, multinational environment. William’s experience includes Schlumberger (US and international), GE Oil & Gas (US and international), and TSB Offshore, Inc. Will is currently the Director of Projects – Consulting for the company. Will holds a Bachelor of Science degree from Texas Tech University in Mechanical Engineering, is a registered Professional Engineer (PE) with the Texas Board of Professional Engineers, and is a certified Project Management Professional (PMP) with the Project Management Institute. Dr. Bob Byrd has over forty-five (45) years of experience in design, fabrication, installation and removal of oil and gas facilities. He has held positions with international marine contractor IMODCO Inc., the engineering firm Brian Watt Associates, Inc., the Norwegian Hydrodynamics Laboratory, and is a former U.S. Coast Guard officer. His positions have included Project Engineer, Project Manager, Projects Director, President, Chief Engineer and Chief Operating Officer. Dr. Byrd was one of the original Principals in TSB Offshore, Inc. and is currently the Senior Consultant for the company. He has considerable experience with planning for fabrication at remote sites worldwide and for harsh environments such as the Arctic. He is a specialist in probabilistic project cost and schedule risk assessment, and has conducted a number of workshops on decommissioning for international operators such as Petronas in Malaysia, the Gulf of Thailand Operators Group, and China’s CNOOC. He has also been the principal investigator for a number of offshore facility decommissioning studies carried out for the Department of the Interior’s BSEE and BOEM divisions, and has served as an expert witness in litigation on numerous occasions on a number of marine and offshore issues. Dr. Byrd holds a B.S. in Marine Engineering from the U.S. Coast Guard Academy, an M.S. in Ocean Engineering from the University of Alaska, and an M.S. in Structural Engineering and Ph.D. in Engineering from the University of California at Berkeley. He is a Licensed Professional Engineer in Texas. With over 31 years of experience in decommissioning wells, pipelines, and offshore facilities, TSB Offshore as the worldwide leader in Decommissioning Consulting and Project Management.